#ABBB & #AAAB Combos & 2 #ABBA 's in there somewhere! Notice to all of my followers. I started domaining in 2004 as a hobby. Over the years it has changed into something more demanding. Now I am finally retiring. 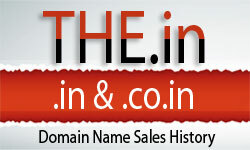 As such, this is the finally post of my recommendations of expiring .in domain names.